A few years ago when I was in university, my research assistant and I would always walk over to a nearby Starbucks on our breaks for something refreshing. We did a lot of field work outside, and it was one of the hottest summers in recent memory, so we never went for hot drinks. He was a barista too at one point, so we always knew to get the berry sangria iced tea because it was light, refreshing, and delicious. It’s quite an easy drink to make at home and I’m always surprised that more people don’t make berry sangria iced tea. You need to prep the tea and a fruit syrup to put it together, but otherwise it’s fairly straight forward. Today I’m going to teach you the basics of making your own, and you can jazz that up how ever you like! The easiest way to prepare your iced tea is to cold brew it: just put your teabags in the bottom of a jug, and pour cold water on top of them. Keep everything in the fridge for at least 6 hours before using. To prepare your syrup, put all your ingredients in a sauce pan on medium heat and stir until the sugar dissolves. Then, turn the heat to low and let it simmer for 20 minutes uncovered. Strain the berries out and keep them aside for other things. To put your tea together, you can just mix everything in a jug using the same ratios, or use the instructions given to make one tea order. 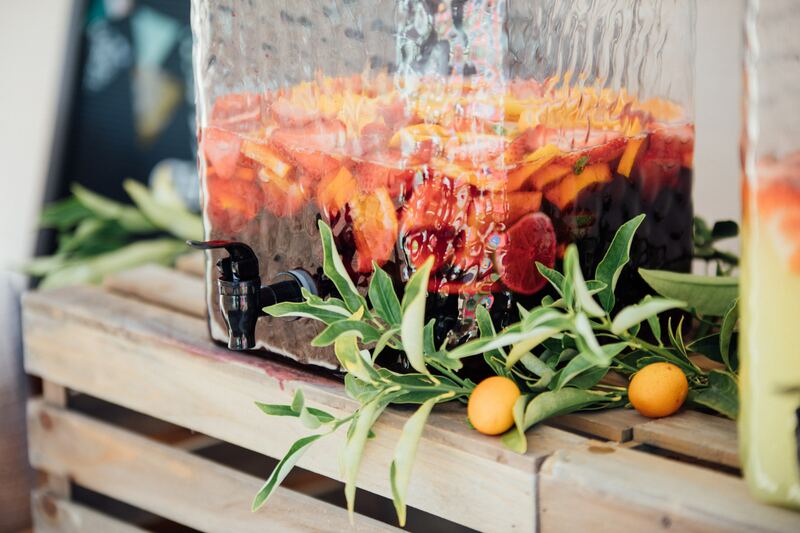 We like to put everything in a shaker with some ice, but I’ve also made a big pitcher of this with some blackberries and orange slices floating inside for a party!